Karuizawa Asama Kougen Alt is another beer by Karuizawa Brewery. Just how have they produced so many different beers for such a young company? Thankfully, Karuizawa Asama Kougen Alt is brewed using only hops and barley, unlike some of the other beers in their range. At the time of writing, Karuizawa Asama Kougen Alt was only available in can form only. Seriously, these long names really need to stop. Karuizawa Asama Kougen Alt has a deep amber body with a fairly thin head that was about one finger deep. It didn’t last long on the beer or on the sides of the glass. It has a solid caramel sweet aroma coming off of it with some tones of alcohol as well thrown in. Never a good thing as I generally don’t like the smell of alcohol as it reminds me of that alcohol spray for your hands. Yet the body of Karuizawa Asama Kougen Alt seems to lack any real bite to it or substance that holds your taste buds. The caramel flavour is far less noticeable in the body and is paired with a wateriness that doesn’t suit it. Even though Karuizawa Asama Kougen Alt is brewed with hops, you wouldn’t guess it from drinking it as there was no distinctive taste nor aroma. Karuizawa Asama Kougen Alt is a sub-standard alt that isn’t really worth trying. If you want a good altbier, then try here. 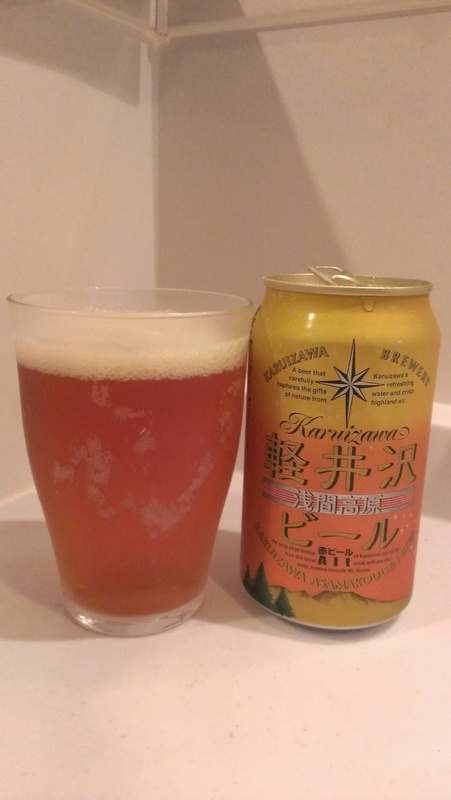 Due to the big push behind Karuizawa weiss from the parent company, Dover Ltd., this beer is fairly widely available in department stores and alcohol stores. I bought my Karuizawa Asama Kougen Alt in Aurora Malls, Higashi Totsuka for ¥298. I have also seen this beer in Le Collier too. oh!la!ho, kokage, sinhsu, yaho, etc all much better than these guys. Yep, very much agreed. Seeing their brewery in person after a trip up to Nagano and then realising that they have no real idea about who they are aimed at is quite unusual for a brewery of this size.